We service all types of accounts from large apartment buildings, commercial, industrial down to your local restaurant or home. 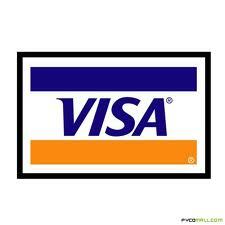 Our rates are very reasonable because we are a family owned and operated business. 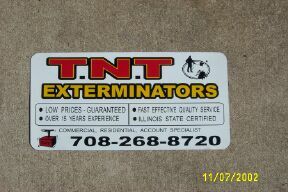 We offer the same services as the name brand companies, we do them better and a lower rate. All vehicles are un-marked, a vehicle that is plastered with advertisement always seems to imply a negative impression in front of your home or business therefore all of our company vehicles are un-marked for your privacy. When it comes to our termite treatments we prefer to use the conventional liquid soil injection method-The old fashioned way. 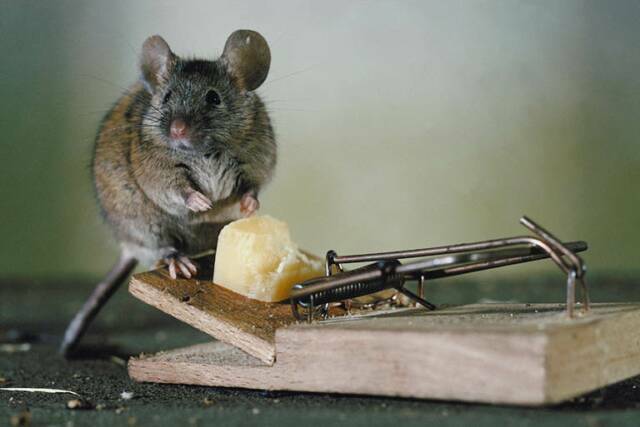 You will see results much faster than bait treatments. Liquid treatments require very little monitoring. They generally need to be done once plus, they are known to last for 10 years in undisturbed soil. We offer a 5 year guarantee on all liquid treatments. 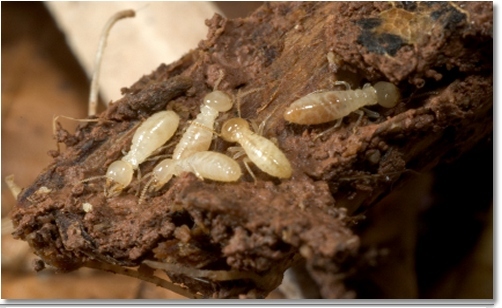 We do offer termite bait treatments if one so desires. Baits can work well, however we don't reccomend them. Call us for a quote because there are many variables in pricing- (depends on the size of the account). This includes treatment for all areas of the building. I.e. basement, boiler room, laundry room and storage areas. Treatment includes service for: Roach's, Mice, Ants, Spiders, Earwigs, Centipedes and many other occasional invaders. Our basic residential rates are$125.00 for the first initial clean out service 30 day guarantee, we also offer a 6 month guarantee for $250. This includes treatment for ants, spiders, earwigs, beetles, box elder bugs. We also perform power spraying in the spring and summer months. Intense entire room dissasembly treatment. Very thourough service, we get to the root of the problem- GUARANTEED! Call for quote.